In what has no doubt shocked the Bollywood industry, recently it has been revealed that the Bollywood heartthrob Hema and Dharmendra had converted to Islam at the time of their wedding! What is shocking is that Dharmendra now a BJP MP has kept this a secret up till now. Sure love knows no boundaries but why conceal such a thing? Love Jihad is a term used by Indian Prime Minister Narendra Modi and his fellow BJP to describe the phenomenon of what they perceive as Indian Muslim men marrying Hindu women deliberately to convert them to Islam (in that case all Bollywood Khans might be a part of love jihad)! 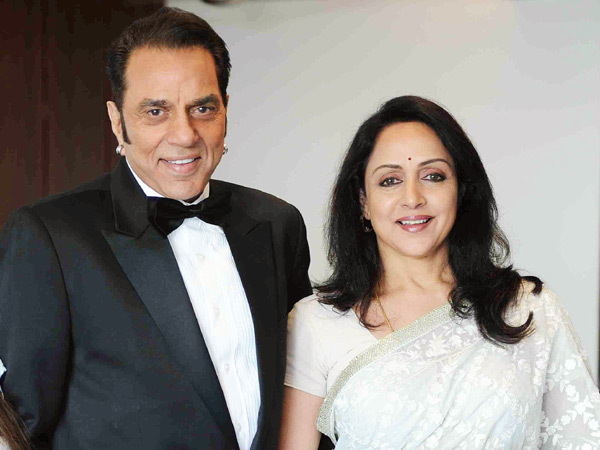 Dharmendra or Dilawar Khan as his Muslim name is had converted to Islam to marry Hema Malini or Aaisha Bi R. Chakravarty” as Hindus are not allowed second marriage. Their marriage was solemnised on 21 August 1979 in Bombay in accordance with Islamic rites. He had married Hema while his first wife Prakash Kaur was still alive. Had he not contested the Lok Sabha elections from Bikaner, the matter probably would not have come to light. While filing his nomination papers as a BJP candidate before the returning officer, Dharmendra had written his name as Deol Dharmendra Kewal Krishn concealing his Muslim name Dilawar Khan and wrote the name of his first wife in the respective column. When his political rivals brought the issue to the notice of election authorities and the general public, he denied his conversion to Islam and change of name. But Delhi magazine Outlook published a photocopy of his Nikahnama (marriage document) which clearly said that Dilawar Khan Kewal Krishn (44 years) accepted Aisha Bi R. Chakravarty (29 years) as his wife on 21 August 1979 at a mehr of, Rs 111,000 in the presence of two legal witnesses…’ The nikah was solemnised by Maulana Qazi Abu Talha Misbahi Faizabadi. Two Congress leaders of Madhya Pradesh, Akhtar Baig and KK Mishra filed a lawsuit against him in Indore’s sessions court demanding rejection of his nomination papers on account of submission of false information and concealing his conversion to Islam and adoption of a Muslim name, demanding trial under section 420 of IPC. According to Akhtar Baig and Congress leader from Rajasthan, Nawal Kishore Sharma, under Hindu Marriage Act, a Hindu cannot take a second wife if the first wife is still alive. However, he can marry for a second time if he has divorced his first wife or embraced Islam. So did Dharmendra or Dilawar Khan really turn to love Jihad with Hema Malini! And did Shahrukh Khan and Aamir Khan who too took Hindu wives too turned to love Jihad? Maybe this calls for an investigation Mr. Modi!